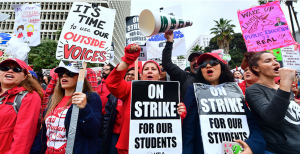 Going back to last Monday, [LAUSD Superintendent] Austin Beutner’s offer was to tie our raise to making it more difficult for new hires to get their lifetime health benefit. That was a condition of giving us a raise. Also last Monday, the only staffing they were offering to our schools was one person per school for one year only. Let’s say your school needed a nurse, a counselor and a librarian: you’d have to choose and that was only funded for one year. Read more! 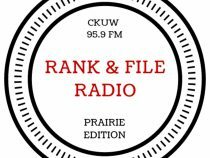 Allen Mankewich has over 15 years of experience working in the public and non-profit sector, working on a number of different disability-related initiatives. A highlight of his career was participating in the United States Government’s International Visitor Leadership Program in 2015, where he learned how advocates, disability organizations and different levels of government work together so people with disabilities in the United States can exercise their civil rights under the Americans with Disabilities Act. Read more! 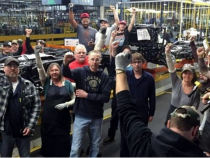 All told, about 6,700 hourly and salaried employees stand to lose their jobs as the lines stop at Oshawa Assembly in Ontario, Detroit-Hamtramck Assembly in Michigan, and Lordstown Assembly in Ohio. Meanwhile the company is posting billions in profits. Read more! Child welfare services in Nova Scotia are underfunded to such an extent that Nova Scotia’s most vulnerable families are suffering. 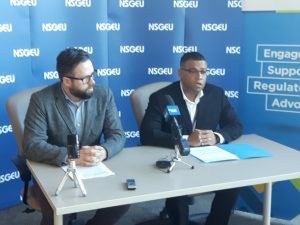 That was the urgent message delivered in unison by Jason Maclean, president of the Nova Scotia Government & General Employees Union (NSGEU) and Alec Stratford, executive director of the Nova Scotia College of Social Workers (NSCSW) at a press conference this morning. Read more!